What do Lucy (Australopithecus afarensis) and your morning cup of coffee (Coffea arabica) have in common? They’re both from Ethiopia. I’ve worked the in Tigray region of northeastern Ethiopia since 2012 and after a 2-year hiatus, I was excited to return this past June. The archaeological project I work with is the Southern Red Sea Archaeological Histories (SRSAH pronounced sir-sah) Project, which is headed up by Dr. Michael Harrower from John Hopkins University. Since my first trip, I have continued to study the archaeology of Ethiopia, specifically food choices during the Aksumite Empire. This post will detail a brief overview of the Aksumites, how we locate aspects of the Empire in the archaeological record, and some insights into why I keep returning to Ethiopia. This image gives you a general idea of where Tigray is located. The Aksumite Empire was a powerful kingdom occupying northeastern Ethiopia and Eritrea from around 50 BCE to 700 CE. The Aksumites were internationally known as they controlled a good deal of Red Sea trade. Like many empires, some of their key archaeological remnants are their architectural feats. 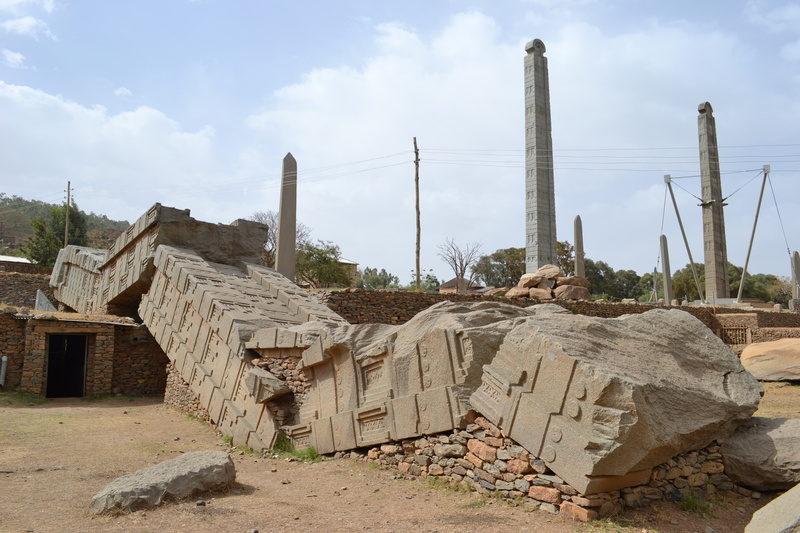 One of the most famous Aksumite sites is Stelae Park, which is located in modern-day Aksum. These stelae mainly marked royal burials; however, after the adoption of Christianity in the region the practice largely stopped. The Aksumites also had their own coinage (gold, silver, and copper) and some of their first coins were inscribed in ancient Greek and conformed to Roman weight standards in order to be used in international trade. The economy of Aksumites was quite varied and it included international trade, raw material exploitation, food production, etc. Though the Aksumite Empire was definitely important and well-known in antiquity, we still have a lot to learn about them. Stelae Park in Aksum, Ethiopia. The left side of the pictures shows one entrance to a tomb. The focus of this image is a fallen stela. Additional standing stelae are in the back. My first foray into Ethiopian archaeology and searching for sites associated with the Aksumite Empire was through archaeological survey. The goal of most archaeological surveys is to find archaeological sites. There are a variety of ways that one can do that and most projects use multiple strategies. One of the strategies that SRSAH uses is a systematic survey method, which is detailed here. It basically involves a team of six people, spread over 100 meters, walking a one-kilometer transect in search of evidence for archaeological sites. Such evidence could be artifact concentrations (e.g. ceramics and lithic objects) or architecture (e.g. stone foundations of buildings and tombs). 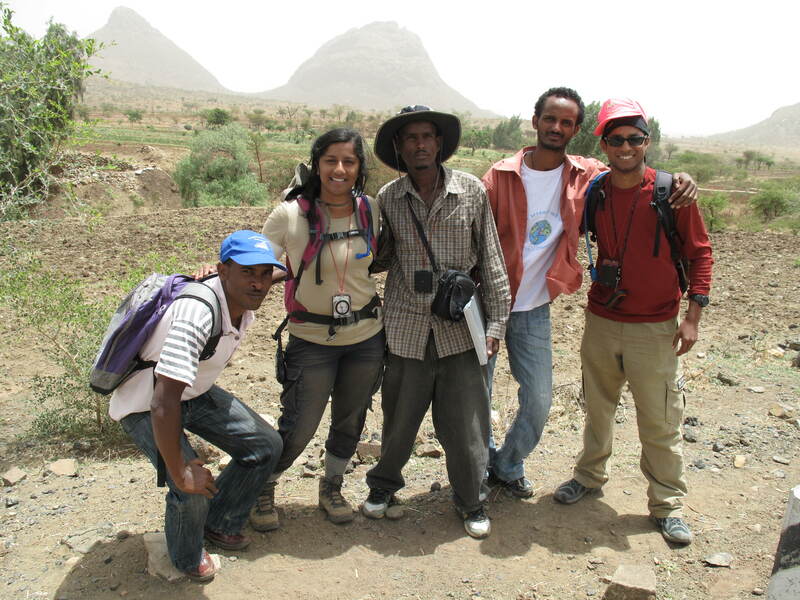 The number of transects you walk depends on the size and scope of your study area; however, you will do a lot of walking and in northeastern Ethiopia it is more like light mountaineering. When I first started surveying in 2012, I was out of shape and a pretty bad mountain climber. Fortunately, the rest of team, especially the Ethiopian students knew how to trek the challenging landscape. Over the course of the two-month season, I got into better shape and I could tackle climbing the Ethiopian highlands with more ease. A part of the 2012 survey team. From 2013 onwards, I transitioned to studying the archaeobotany (the study of ancient plants from archaeological contexts) of Baita Semati, a site targeted for archaeological inquiry by the SRSAH team in 2009 after discussions with local residents and concentrated archaeological survey of the immediate area. The SRSAH team has excavated the site since 2011 and the exciting results will be discussed in a future post once the peer-reviewed publication comes out. My archaeobotanical work examines the types of plants present at Baita Semati, where those plants came from (local versus foreign origins), and how they were used. The ancient plants I’m studying have preserved in the form of carbonized macroremains, which include charred seeds and woods. The most popular method of macroremain extraction is called flotation and it involves collecting a soil sample, inundating it with water to the let the charred bits float to the top, and then capturing that material. Once the captured material is dried, archaeobotanists work to identify the seeds and wood charcoal pieces. It should be mentioned that we don’t capture everything. We only catch those plants that were exposed to a burning event promoting preservation. There are other archaeobotanical methods that aim to identify plants using microscopic features such as starches and phytoliths (opal silica bodies or calcium oxalate crystals). Nonetheless, macroremains, if present, are fundamental for archaeobotanical studies. At the moment, I’m working on identifying and quantifying the seeds of Baita Semati. I often get asked this question a lot. There are a lot of reasons why I continue to work in Ethiopia, but they mainly boil down to the archaeology and the people. The archaeology provides fascinating information regarding subjects like food choices, empire building, inhabiting challenging landscapes, etc. and it even can test established notions surrounding those subjects. The archaeology is also relatively understudied in comparison to other neighboring contemporaneous civilizations (e.g. Egypt), which makes it an exciting frontier. I also really enjoy the people. The SRSAH team is filled with great established and rising scholars from all around the world and the intellectual atmosphere is very stimulating. They’re also fun to hang out with. In addition, part of the SRSAH community is an amazing group of local individuals. 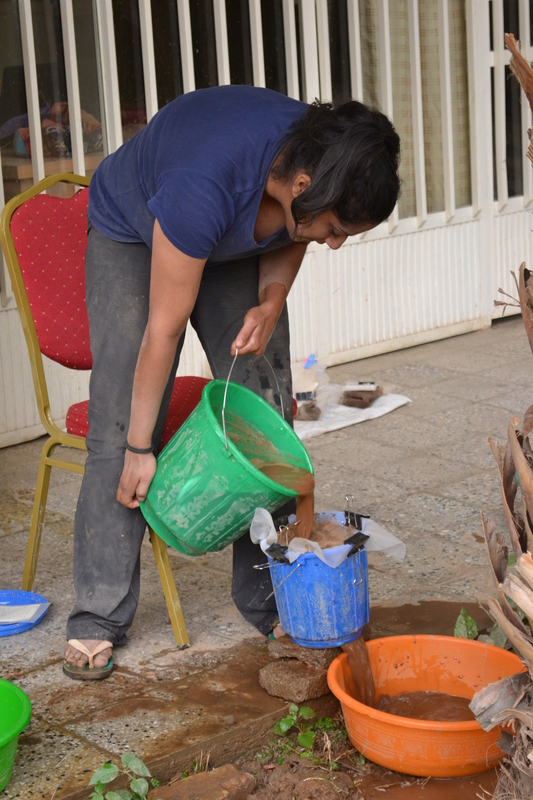 The in-country work we do would not be possible if it were not for the enthusiasm and dedication of Ethiopian archaeology students from Aksum University, local and government representatives, and the village of Idaga’ruba, which is adjacent to Baita Semati. Forming strong local connections is vital to archaeological work. If this isn’t there then working becomes nearly impossible and definitely unpleasant. Fortunately, we all get along and find the work important and rewarding. I’m looking forward to many more years of working in Ethiopia and I can promise more posts about it.